Many apps in your Android smartphone depend on your current location as determined through the GPS, through the IP address assigned to your device or the cellphone towers. If you are outside your home or office and your phone is directly under the sky, then it can connect to a number of satellites circling our planet and get the coordinates from them. But when the GPS satellites cannot be seen so clearly, your phone depends either on the mobile phone networks and the IP address. Some of the apps like Pokémon Go depend on this geolocation data to provide you services or features streamlined to your current location. But suppose you want to manipulate the geolocation data in order to play games in a different way or to gain access to a different set of features in an app, then you can do so very easily through an app called Fake GPS Location Spoofer. The app makes use of an Android developers option that allows you to use mock locations for your apps. The first thing you have to do is to enable the location in the Android phone. You can do this by opening Android settings and then turning on the Location setting to the High accuracy mode. The second step is to enable the developers options in your Android phone and then enable the Mock locations from there. 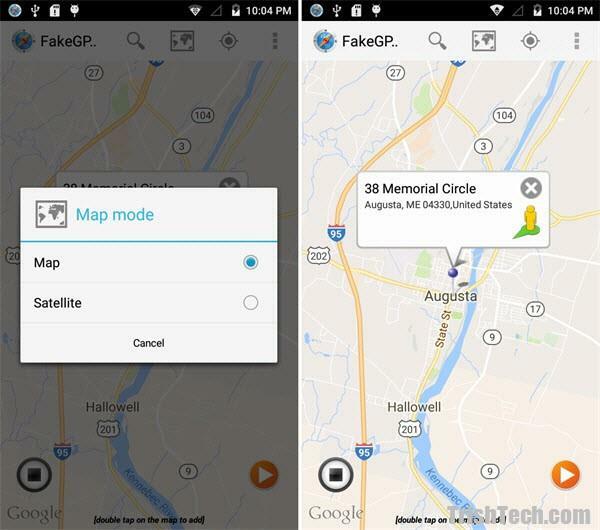 After these two things have been take care of, you can launch the Fake GPS Location Spoofer app and search for a location on the map that you want to set as the new spoofed location. When you have found the location, tap on it to select it and then tap on the small “play” button to start the spoofing of the geolocation data. Anytime later, if you decide to disable the spoofing, you can come back to the app and tap on the small “stop” button at the bottom – this will stop the spoofing. 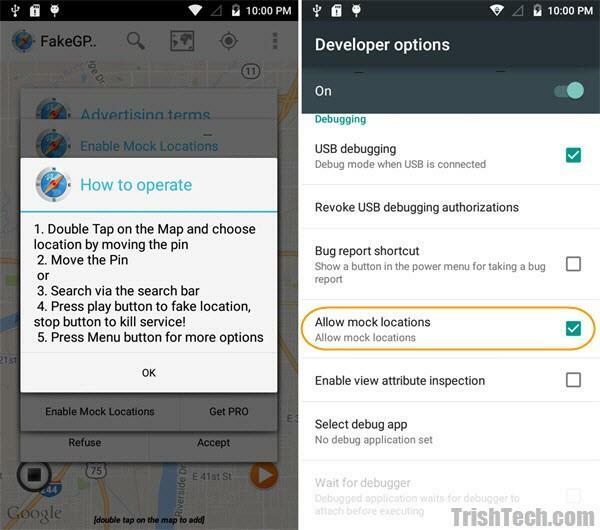 Conclusion: Fake GPS Location Spoofer app makes it easy to spoof your GPS location in your Android phone. This could come handy when trying to test various apps that act different for different locations. You can download the Fake GPS Location Spoofer app from https://play.google.com/store/apps/details?id=com.incorporateapps.fakegps.fre&hl=en.